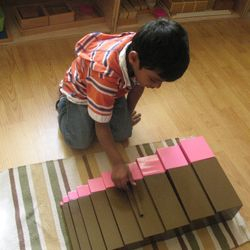 Dr. Maria Montessori developed her theory on education over 100 years ago. Today, it is still widely known as one of the most enduring models. 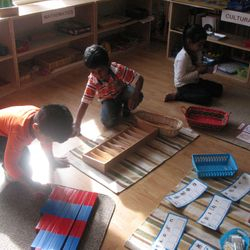 Across the country and across the globe, Montessori classrooms are changing lives every day. 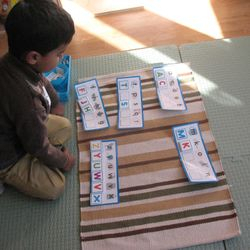 Children aged 2.5 to 6 years work together in the same classroom. 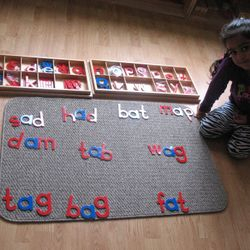 This leads to many great educational benefits for all children involved. Choosing how your child will be educated, especially in the early formative years, can be the most important decision you make regarding your child’s future. 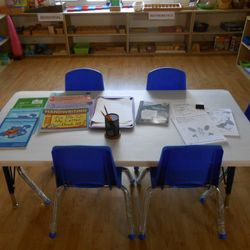 Research proves that the early childhood school education can have a lifetime impact. The decision you make now will affect your children's academic and social progress through adolescence, university and in life. 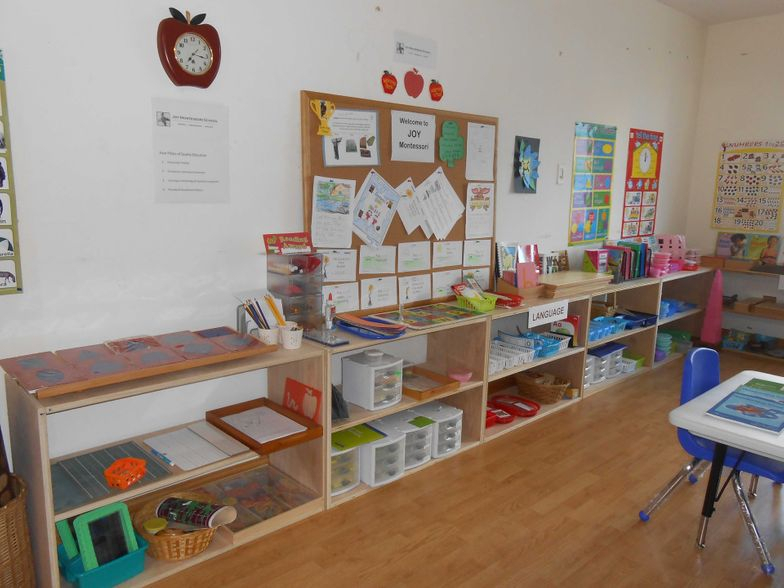 For a great learning experience you need four key elements: (1) a Passionate teacher, (2) Safe & attractive learning environment, (3) Right materials & tools and (4) other disciplined Children to foster collaboration. 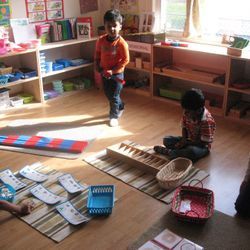 Joy Montessori strives to provide all four key enablers for your child so that they can learn on their own pace. 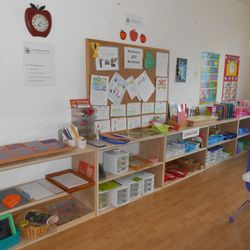 With less number of children in the classroom your child gets individual attention and support to learn and grow from a great teacher and with other well behaved children. 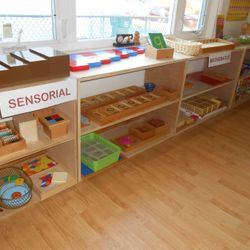 Joy Montessori School is a registered American Montessori Society School and is operated based on New Jersey state family child care policies. 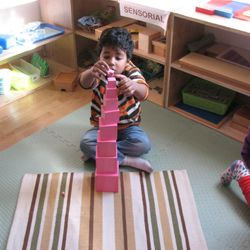 Joy Montessori School also has all the Montessori materials from sand paper letters, metal inserts, pink tower, etc. and the facility also has fenced outdoor play area with swings, slide and space dome. 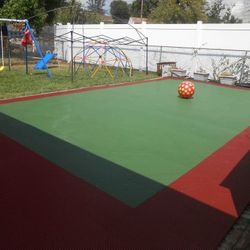 WE LOOK FORWARD TO BECOMING YOUR CHILD'S SECOND HOME AND WOULD BE HAPPY TO BE AN EXTENSION OF YOUR FAMILY. 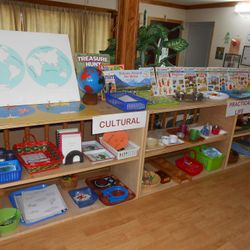 Joy Montessori School is intended to help serve the needs of our community and Parents who wish their kids get the BEST EDUCATION possible in the years when they LEARN THE MOST. Your child will be one among the small group of Children and will get all attention and focus they deserve for their balanced growth. 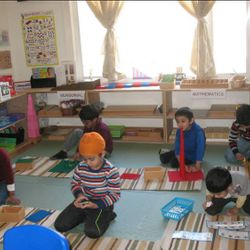 Ms. Santoshi has been teaching Pre-school children of ages 2.5 to 6 years (Pre-school & Kindergarten) for several years and has worked as Head teacher and Associate Director at various schools in Edison; she has experience in managing over 20 kids in a classroom. 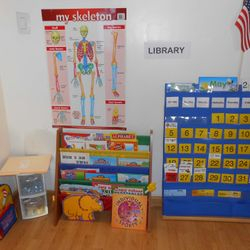 She has AMERICAN MONTESSORI SOCIETY CERTIFICATION for Early childhood and also is trained in Child CPR. She has also cleared back ground checks under CHRI for Pre-schools. We are offering half day AM or PM, Full day and Full day with extended care. Full day is Monday - Friday 9am - 3.30pm. 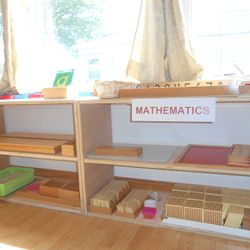 Half day is Monday - Friday 9 am - 12pm or 12.30pm to 3.30pm. Extended care is available with additional fee. Ms. Santoshi has received lot of respect from parents and teachers alike. 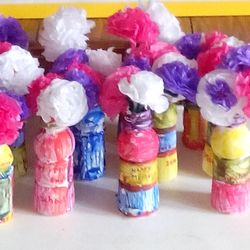 A student gave her a parting gift with a greeting card with her own handwriting that read, "Thank you for teaching me, I have learned so much. I will never forget you, your student -- Nora". 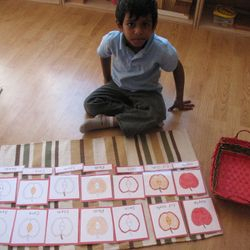 Another student's card reads, "Thank you for being the best teacher - Guntas Dhanjal". A Parent's first reaction in getting her son's grade at school, "Great , Santoshi ....I would like to thank you from the bottom of my heart. Without you this would not be successful.-Nehal Shah". Thank you for your kind attention and taking interest in your Child's Future.